The Truth Or Else to Reveal Ability in Oklahoma Derby: Once a promising Kentucky Derby hopeful, The Truth or Else ran into talented horses during the spring. He lost his last two Derby prep races by a combined 25 lengths. Afterwards, he ran an uninspiring fifth in the Pat Day Mile (GIII) at Churchill Downs, before taking an optional claiming event at Belmont Park over Good Pick Nick. The race ended his turbulent spring campaign, and now he gets a reboot in the Oklahoma Derby (GIII) on Sunday at Remington Park. The Truth or Else gets a reboot in the Oklahoma Derby (GIII) on Sunday at Remington Park for trainer Ken McPeek. If The Truth or Else will ever pick up a graded stakes win, the son of Yes It’s True may not find an easier chance. Take a look at the horses he faced in his stakes losses, and compare them to this field. In the Pat Day Mile, he faced the “good version” of Competitive Edge and Gimme Da Lute. One race before in the Arkansas Derby (GI), the eventual Triple Crown champion American Pharoah and Mr. Z finished first and third. Four starts ago in the Rebel (GII), American Pharoah and future West Virginia Derby (GII) winner Madefromlucky made up the exacta. No major stars exist in the Oklahoma Derby, which makes The Truth or Else an attractive betting option. The morning line favorites, besides The Truth or Else, are borderline graded stakes horses at best. For example, Mobile Bay won the Super Derby (GII), but just try to recognize one other horse from the Super Derby without doing research. Furthermore, actual favorite Desert Dynamo recently failed in an ungraded stakes race at Del Mar. Going down the list, Souper Colossal does not own one graded stakes victory. Even Kiaran McLaughlin’s shipper Classy Class lacks a graded stakes win. As for layoff concerns, The Truth or Else ran well off a break before finishing second in the Southwest (GIII) at Oaklawn Park, which kicked off his 2015 campaign. It helped though when Mr. Z bolted and gave the race away. Another sign of The Truth or Else’s preparedness comes in the worktab. He fired a bullet five furlongs at Belmont Park on Sept. 21 (albeit compared to only 14 other horses). One concern is The Truth or Else’s ability to run nine furlongs. 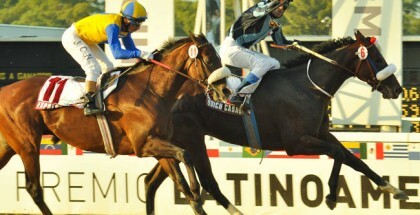 Including the Arkansas Derby, he failed in two efforts at the distance. The Truth or Else’s sire Yes It’s True competed as a sprinter throughout his career, although the dam Lakenheath won a couple of route graded stakes races. Both of The Truth or Else’s victories came in one-turn routes at Belmont Park. Jockey Calvin Borel tends to ride unpredictably at times, but he knows The Truth or Else well with three prior tries on the colt. 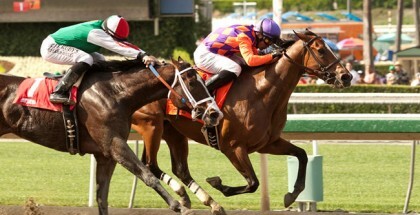 Borel rode him to his runner-up finish in the Southwest, before the horse was trounced in the Rebel and Arkansas Derby. Interestingly, both of The Truth or Else’s wins came under Joel Rosario, who is not in this race. If he wins, the Breeders’ Cup seems unlikely because the Oklahoma Derby winner earns no automatic berth to any of the races. The connections could still attempt to enter one, and just hope a spot opens up. The Truth or Else can also aim for something easier at Keeneland, where trainer Kenny McPeek will make his presence felt during the fall meet. 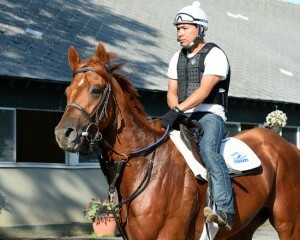 The Truth or Else would also benefit from returning to Belmont Park, if he truly prefers one-turn route events. The Truth or Else won his initial dirt start so well. At the time, it felt like he would go on to bigger things. Handicappers gravitate towards known horses from Derby season, and this one can win at a decent price. He can also back up his prior record at the distance and finish midpack. The Truth or Else possesses talent. He just needs to find the truth about where he fits in terms of class and distance. 6 Souper Colossal 9-2 P.Lopez/E.Plesa Jr.
Lady and The Track Store Open for Business!